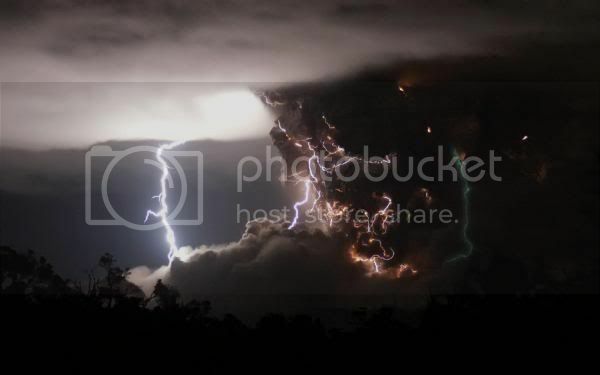 Two of nature's most spectacular forces produced an incredible brew in the skies of Chile as a volcanic eruption met a lightning storm. 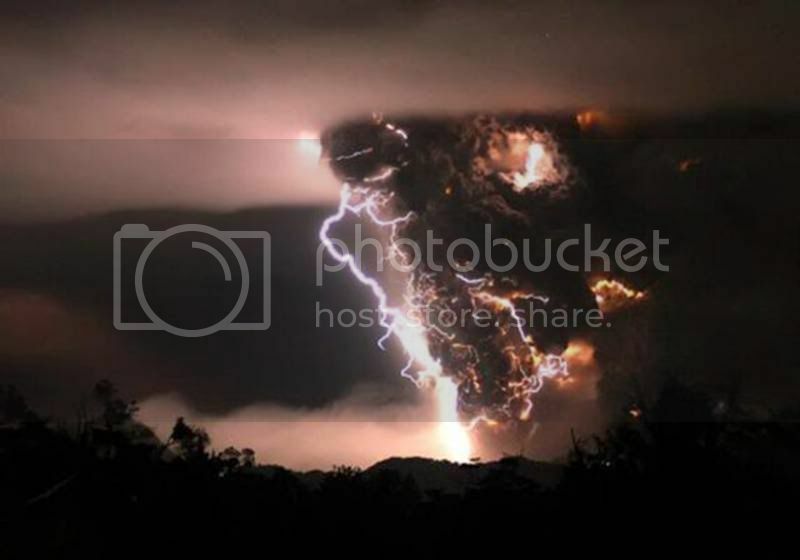 Tons of dust and ash from the eruption of the Chaiti volcano poured into the night sky just as an electric storm passed overhead. 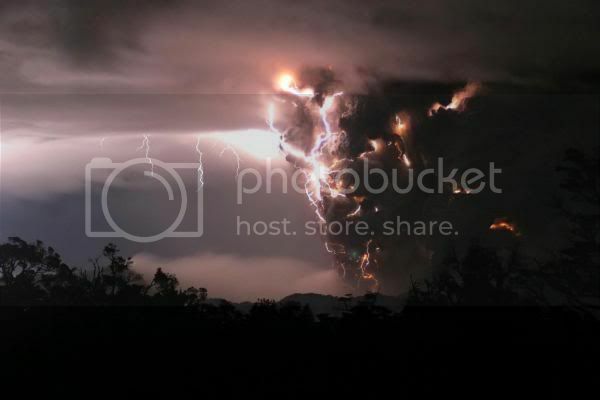 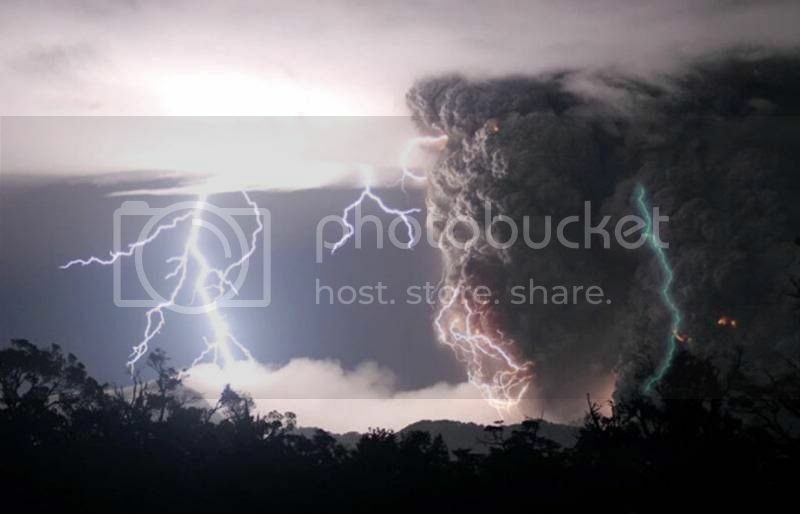 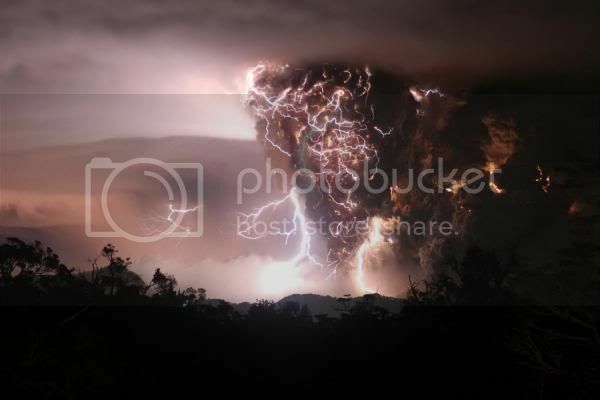 The resulting collision created a spectacular sight as lightning flickered around the dust cloud amid the orange glow of the volcano. 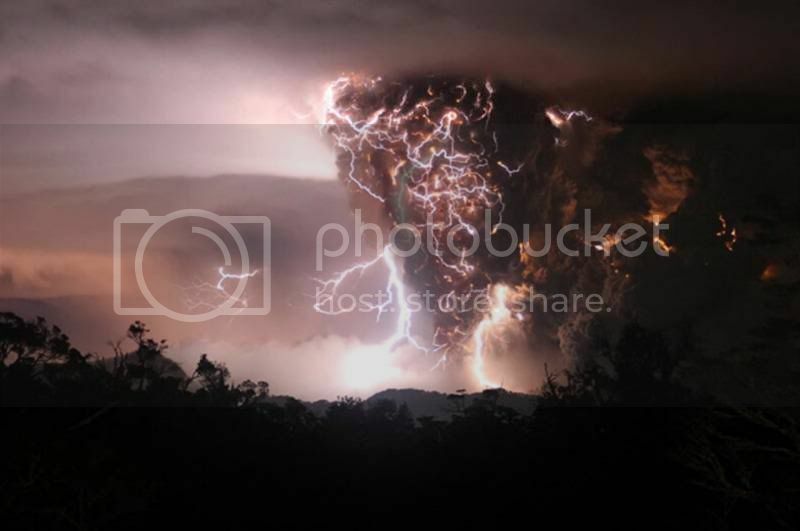 The eruptioin was all the more spectacular because the Chaiti volcano 800 miles (1,290 km) south of Santiago, has been dormant for hundreds - if not thousands of years. 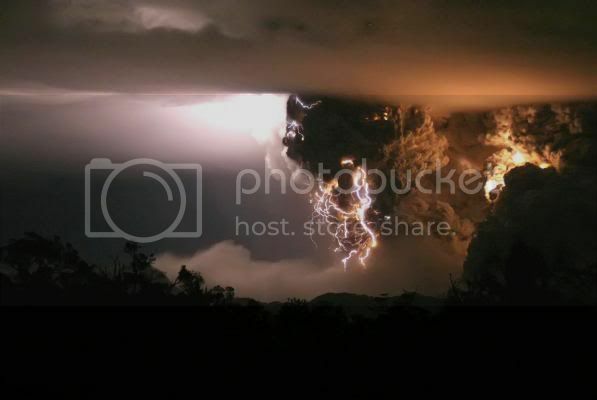 The Patagonian volcano began erupting on Friday and the 12-mile-high plume has left vast tracts of land coated with a layer of ash.